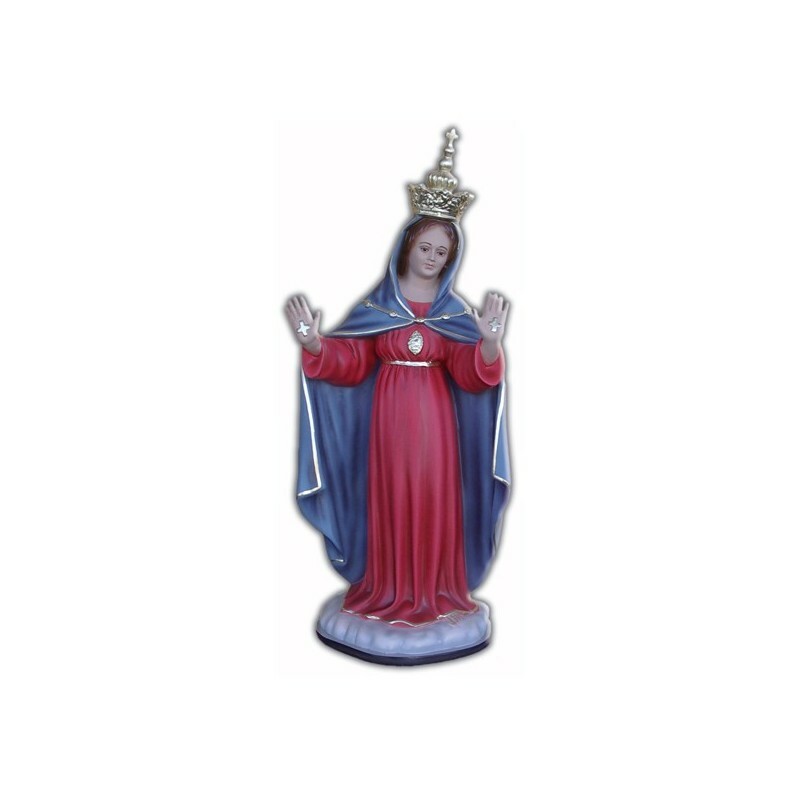 Statue of the Virgin of the Freedom 65 cm. 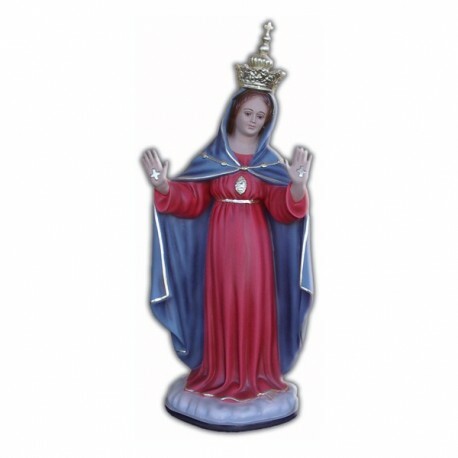 Statue of the Virgin of the Freedom, of fiberglass, 65 cm, handmade in Italy. On the 2nd of July 663 in Benevento the Virgin appeared, with an impressed cross in the palm of her hand. This phenomenon frightened the soldiers, who retreated and released the city. The Virgin is venerated in many villages of the Southern Italy. (Rodi Garganico, Pratola Peligna, Pietrelcina). In Pietrelcina she was particularly venerated by Sain Pio who used to call her “Madunnella Nostra”. She is illustrated with blue and red clothes, with a crown and the cross on the palms of her hands.